A new, more visual design for NGF, with an improved user journey, brings their web presence right up to date after 20 years in the business. 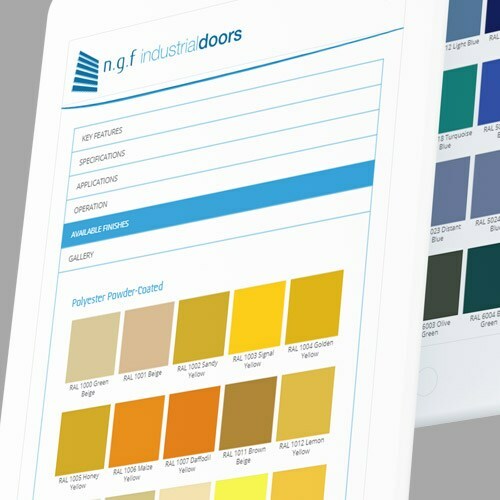 NGF Industrial Doors are a door manufacturer based in Castleford, West Yorkshire, but operating all over the UK. 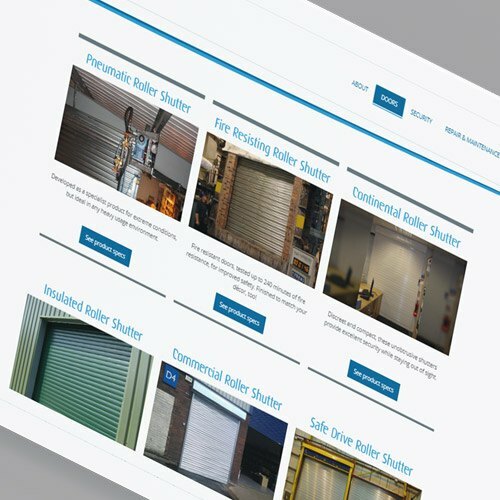 Founded in 1995, they have a great reputation for the build quality and price of their bespoke industrial doors. The name NGF comes from the initials of founder Nigel Furby, but have since become a backronym for Nobody Goes Further – which nicely sums up their company ethos! After more than 20 years in the business, NGF were in a great position – but the one weak link in the chain was their website, which looked more than a little outdated, and also didn’t do what they needed it to do anymore. A new website needed to look modern and professional, with an easily updateable content management system, and the ability to let the NGF team build on the site with marketing activity in the future. It also needed to capture the team’s personality! The site’s design is fairly minimalist, with bold blocks of colour and large images. Our designer originally proposed a concept with an always-present sidebar menu, but the clients preferred the idea of a horizontal navigation at the top of the page. 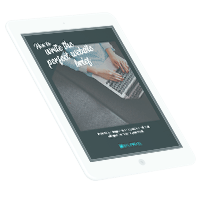 The menu is always present as you scroll, with a slight curve to the edge of the frame – unusual, but satisfying! Elsewhere, we’ve used large CTA blocks, big, vibrant photos of the team in action, and simple tabbed views on individual product pages to present a large amount of information in an easily-digestible way. It’s very much a simple, yet effective design that captures NGF’s own no-nonsense approach. We wrote new content for the site, expanding on the technical information from the old one to provide a more rounded view of the services NGF offer. When we met with Nigel at NGF, he was a font of interesting information and trivia about doors, so we came up with some odd “Did you know” facts at his request and snuck them into the site. Again, a bit unusual, but strangely satisfying! The site was built in WordPress, so is very easy for the NGF team to update, using custom post templates to make adding new projects and products as simple as possible. We’ll continue to support NGF with website maintenance and their digital marketing needs – they’ll be starting to make use of their blog as an SEO and lead gen tool in the coming months.